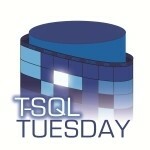 This month’s T-SQL Tuesday was all about Big Data. See what the community has to say about Big Data with this collection of articles ranging from deep technical walk-throughs to musings about Big Data’s impact on our industry and the data professional. Rob Farley gives us his view of The BigData Legacy. What really matters; velocity, volume, variety? What impact will Big Data have on data long-term? 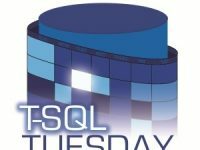 Kevin Feasel shows us how to connect SQL Server to Azure HDInsight using Polybase and answers the question, “can you take advantage of predicate push down?” Kevin’s T-SQL Tuesday post is a continuation of his Polybase series, seen here. 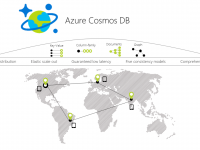 Derik Hammer (me, myself, and I) documented my experiences learning Azure Cosmos DB by creating a project to simulate a fictitious vending machine company, SQL Snacks, Inc. The walk-through includes Azure portal, C#, and Power BI work. Nate Johnson, in his post, looks at Big Data, not related to size, but related to the measure of potential data formats and sources. He also sends out a plea for Big Data experts to help small to medium size companies understand the real world use cases. As a side note: I loved Nate’s memes, as well. Kennie Nybo Pontoppidan tackled, “Big data, IoT, Business Intelligence and small data,” in a story about data and Business Intelligence maturity. I was surprised, and pleased, to see predictive analytics come before big data in his path to maturity. Robert Preseau explains to us, how to overcome the limitations of working at a company with tiny data, as it relates to learning about big data. Robert listed online training and courses, both free and paid, that he recommends for learning about big data.